Perfect! I ordered it a bit. MillyBridal contacted me to double check the size and the make sure I didn't need express shipping. I'm so in love with this dress! I WILL order from this amazing shop again! I can't say enough about the service. MillyBridal was very responsive and answered all of my many questions timely and professionally. I received the dress a day after I was notified it was shipped. It's just what I ordered! I will recommend to friends and family. Great work! Lovely dress. like as shown on picture. The colour is as I expected very nice. Ordered size 12 and fits me great. might need a little adjust before my big day but that's expected anyway. All the details on dress are great. and well made. No complaints at all. At first, I was leery about ordering from Millybridal.org because I had never heard of them. Now, I am so glad I found them! They have such a great selection of dresses, the prices are unbeatable.My dress arrived very quickly.Before ordering, I used the measurement guide for my specific dress, and it worked very well. The dress fits perfectly, just like it is shown on the model, except for the length, because she is taller than me. The dress design and quality of the fabric are so nice, and it falls in such a flattering way. I won't be wearing it for months, but I am so relieved to have found the perfect dress at a fantastic price. For my experience, this company gets an A+. 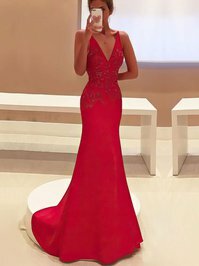 The website provided many details about the dress and assistance in proper fitting, the dress arrived quickly, it is exactly as shown, and it is high quality. I definitely recommend Millybridal.org! The dress was of excellent value and professionally and it fitted perfectly I would definitely order from Millybridal again. The dress was of impeccable quality!! !